I'm sure many of you have heard of the hit action-adventure game Outcast developed in 1999 for the PC, which for its time offered free-roaming environments, clever reactive AI, great voice acting, over 20hrs of gameplay and much more that made it a game worthy of playing even today. Well you'll be pleased to know Bigben and Appeal Studios have released the latest footage of Outcast – Second Contact; a complete remake of the 1999 classic that is coming this fall 2017, for PC, PS4 and Xbox One! According to the creators, in Outcast - Second Contact, the action takes place on Adelpha, a vast open world to explore and the cradle of an ancient alien civilization, the Talans. 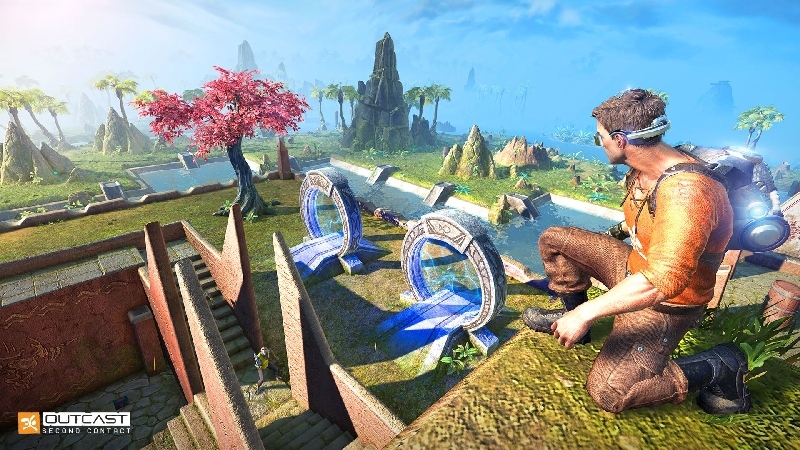 This videos shows core gameplay in Outcast – Second Contact and the depth of its unique world, in which exploration is at the heart of adventure.